NKU's Music Prep program recently was named best of NKY 2017 in musical instruction. 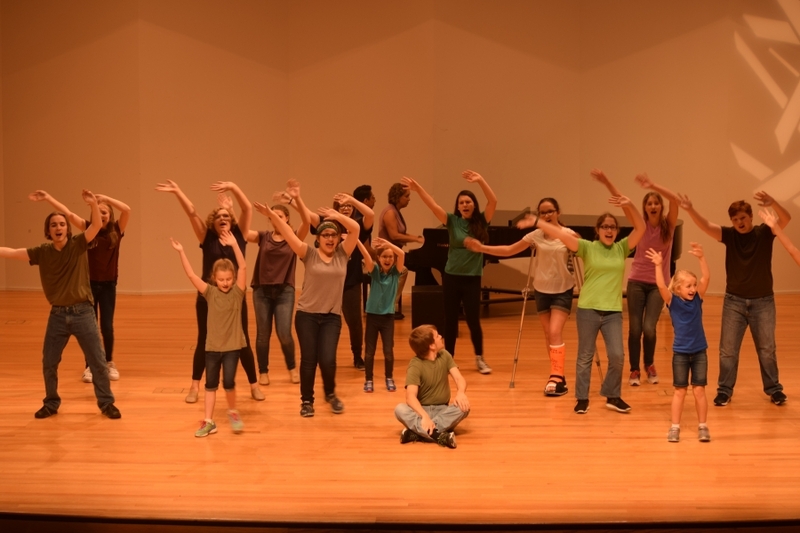 The Mainstage Musical Theatre and Voice Camp's performance took place at 4 p.m. on June 16. 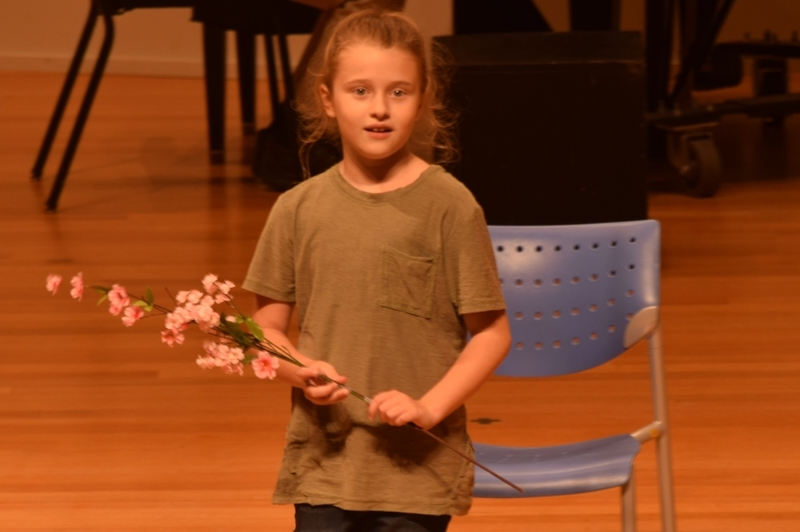 The room swelled with parents, friends, and staff as the work of NKU’s Music Prep summer camps–The String Project and Mainstage Musical Theatre and Voice Camp–was showcased on June 16. The String Project began in 2012 and was a national, grant-based program. 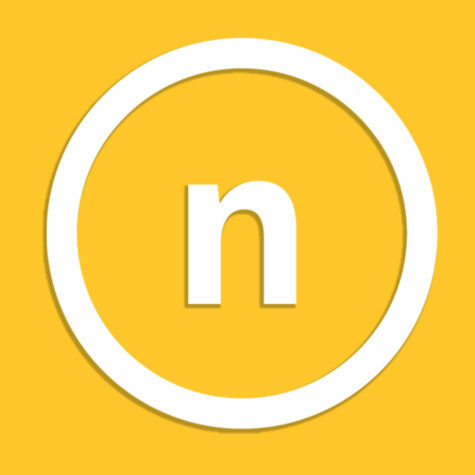 NKU had to apply to become a site for the program. Holly Attar, director of the music prep department at NKU, has overseen the String Project each year. Two years ago, NKU’s program was named the outstanding String Project of the year on a national level. NKU Music Prep, which houses the String Project, Mainstage Musical Theatre Co., NKU Youth Symphony Orchestra, Piano Labs, Youth Choir and Dance Prep, was named Best of NKY 2017 in Music Instruction. The String Project has been awarded several national recognitions. For those who help at the camp, it’s about helping kids learn to play an instrument and connect with others. Attar said NKU Music Prep has the only full youth symphony orchestra in all of Northern Kentucky. Attar said this “full circle” component of the String Project is her favorite part of the program. “I love that we get to bring people in from the community but I especially love that we train people to go back out into the community upon graduation and do the exact same thing,” Attar said. The program has “master teachers,” most of whom are professionals in the field, do the bulk of teaching and oversee the classes. NKU Students also work as teacher’s assistants, such as Rebecca Caldwell, a senior elementary special education major. For the past three years, she has had a hand in the learning process. Many of the kids involved in the program are home-schooled. The program gives an outlet to music where it's scarce. Seeing how much the students progress throughout the year is Caldwell’s favorite part of the program, she said. “The first day they learn how to hold their instrument and by the end of the year they are learning how to play separate parts,” Caldwell said. “The progression of it is fascinating,” Caldwell said. Ashley Ware, junior music education major and teacher’s assistant, said she wouldn’t be a music education major had it not been for the program. “I came in as a psychology major. As soon as I started teaching them I knew that was what I wanted to do,” Ware said. Ware, who plays the cello, was originally only a music minor until Amy Gillingham, director of the String Project, convinced her to be a teacher’s assistant. Throughout the process, Ware said she loves helping the kids learn more about themselves–not only as musicians in an orchestra but socially as well. 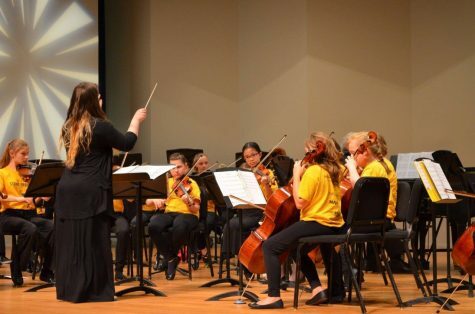 NKU Music Prep classes run through the school year with the summer camps just ending this past week. However, the summer community orchestra will run through July, Attar said.